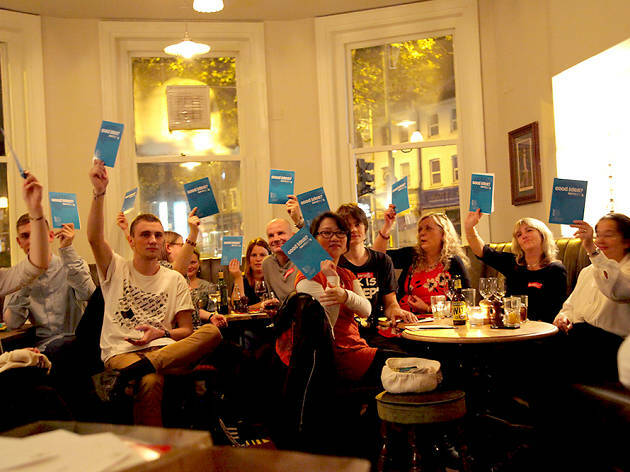 Combining intelligent debate, a group of opinionated players and good humoured fun in a local boozer, Bardeblah is an intellectual game of persuasion centred on contemporary political and social issues. The setup is simple: a statement is selected by the drinking spectators, which is then posed to the two teams sat ready and waiting to debate. A 'Bard' chair moderates the proceedings, while the drinkers are free to air their views and ultimately decide which team has the winning point of view.